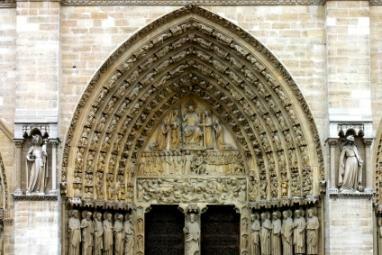 Notre Dame is just one of many sites students see in Paris. This month, we interviewed Dr. Dora Polachek, French Department advisor and French study abroad program expert at Binghamton University. LTK: First, let me thank you for sharing your insights with us about studying French. I definitely appreciate your time. Since you are at Binghamton University, would you describe some of the elements of the French program at BU that make it a unique place to study French. Dr. Polachek: Binghamton University's French program provides students with courses that respond to students' interests, be they linguistic, cultural or literary. The University is committed to internationalization and interdisciplinary experiences, so we encourage our students to take courses in other disciplines that will enhance their knowledge of French and francophone culture. What I find particularly important is that we provide our students with personalized attention. We're good at listening to what their interests are and then guiding them appropriately. American students have time to interact with students from Francophone countries. As part of the State University of New York (SUNY), students have an opportunity to study abroad in more than 30 programs that are offered by the system. If students choose one of these programs, any financial aid package they may be getting on campus can apply to their study abroad costs. Dr. Polachek is also the advisor of the Phi Sigma Iota (the foreign language honor society). Bighamton also offers a combined bachelor's and master's degree in French that can be completed in five years, a Teaching Assistant program, and a student-run Association Française (a French club). LTK: Can you talk a little about the study abroad experience and what a French student should expect/do during their study abroad time? Dr. Polachek: Studying in a foreign country is initially very disorienting for most students. Without a solid grounding in the language, the experience can be especially daunting. So from a psychological point of view, students find the adjustment much more manageable if they realize that they indeed are able to understand what is being said to them (even if it's being said a bit more rapidly than in their experiences up to now). Dr. Polachek: Culture shock invariably takes place for most students, but if they use their French as much as possible, they will reap countless rewards. As for course work, in most cases, programs are designed for foreign students, so most students do not take courses with other French students. Since many of these students will be English speakers, students find there is a great temptation to communicate in English. This is understandable, but it, of course, defeats the purpose of a study abroad experience. In orientation sessions given by our Office of International Programs, as well as in discussions with us, students are strongly encouraged to use French as their only language of communication. Dr. Polachek: In the classes they take, students often notice that the method of instruction is different. The concept of office hours, and professors being available for a few hours a week for students to drop in and discuss any course-related issues, is for the most part, a strictly American model. While studying abroad, students will often find that the only time they see their instructor is in class. Our programs try to increase the personal contact by having a program director with whom students can have regular contact. Students will also find that they will have to hunt to find extracurricular activities in which to participate. Those pursuing a global studies minor at Binghamton are required to write a capstone project essay about their study abroad experience. I am always struck by how each student underlines the personal growth they have experienced, as well as how the program has enriched their appreciation of and desire to continue their work in French. LTK: What does a student need to do before going to study abroad and how can he/she be better prepared? Dr. Polachek: Getting as solid a foundation as possible is a great advantage before studying abroad. The best way to achieve this is to continue French language training as soon as they get to campus. Most students decide to go abroad during their junior year, so if they have been taking French courses since their freshman year, by the time they are ready to study abroad, they will have taken a minimum of four or five French courses. Total immersion in the French program of their choice therefore becomes not only possible but also genuinely appealing. Students also need to know that France is not the only option. Some students feel more comfortable studying closer to home, and we are fortunate to have excellent programs in Canada. Our students have participated in the programs at Chicoutimi and in Quebec City, and both programs receive high grades from our students. We also have students pursuing a joint major in Arabic and French, and we have a study abroad program in Morocco, where students can take courses in both languages, as well as have the opportunity to use French outside of the classroom, given Morocco's colonial history. LTK: Along that note where does BU send their students, and can you describe their experiences there? Dr. Polachek: Besides the places I've already mentioned, we have some students with a business interest who have studied in a program in Nice. Others have studied in La Rochelle, Besançon, Montpellier, Hyères, to name but a few. Of course, a large proportion of our students study at the Sorbonne, because they have always dreamed of studying and exploring Paris. Some students have also chosen programs through other universities. 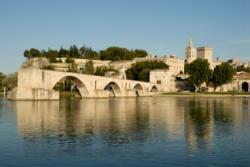 A number of our students have chosen summer programs, and one of the favorite places is Avignon. This is a particularly attractive option for those interested in theater since the program takes place during the summer Festival d'Avignon, where plays are offered from morning to night. 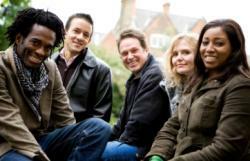 One of our students was particularly pleased to be able to take an acting course while there. We also have had students who have participated in the Mission Interuniversitaire De Coordination Des Echanges Franco-Americains (MICEFA) program in Paris, where they have taken courses with the University of Paris system with French students. LTK: I understand that you started La Table Française at BU. How important is immersion in the language learning process? Do you find that there needs to be a balance between immersion and "all the rules"? Dr. Polachek: La Table Française has been active at Binghamton University since 1997. I am so pleased that it has served as a model for other foreign language tables, which now abound at our University. The table offers a comfortable setting where students interested in speaking French can do so while eating their dinner. Besides students, the table attracts faculty from different disciplines, visiting scholars and researchers, as well as community members. The only rule is that French be the language spoken - all levels of fluency are welcomed. Such experiences are important not only for pedagogical purposes but for social reasons. As for the balance between rule and immersion, there's no way getting around the fact that learning a language involves acquiring a set of habits. Memorization is involved. It's like multiplication tables; it has to be automatic. How a student learns something 'by heart' varies, but knowing how to conjugate verbs accurately should be part of a good foundation upon which more sophisticated structures can be built. Learning a language involves lots of practice, repetition and a varied palate of exposure opportunities. Based on our students' experiences, we find that the kind of total immersion that takes place abroad works best this way. ''For more information on Binghamton University, you can visit their website at: Binghamton University. You can also read more about the French department at BU French. Additional study abroad programs can be found in our list of popular French study abroad programs.